I tried a Cobra classic after wanting an upgrade from the standard but wanted some back support and with the "Lean back" style rear i found myself leaning forward and upright alot. I ended up buying these recaros from a friend and they have been fantastic. They sit nice and low, are adjustable and the bolsters on the rear hold me in place nicely. Last year i went to italy for the IMM followed by tour or Italy (Rome, Venice, Turin) and these seats were brilliant the entire time. Like roberts said above, these are more of a "luxurious sports model" style seat. 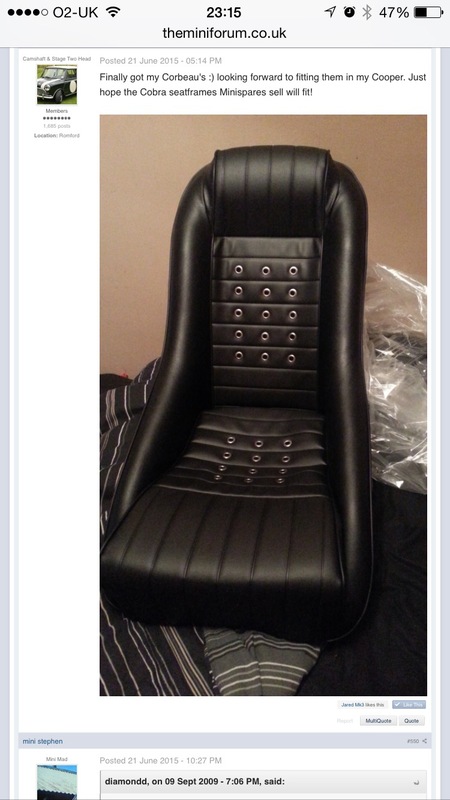 When I put on a "little" weight, my friends told me DNA stood for "Dylans New Arse"
Mk1 mx5 seats possibly? Not exactly buckets but very comfy and space for the more mature driver (read lard arse). It's ok, I am impossible to offend! And to quote the great Alan Partridge, "it's fairly well concealed in casual clothing"
I've got the Cobra Misano seats in mine and absolutely love em! I'm 6ft 2 and they are some of the comfiest seats I've sat in. No back ache after a long drive is always a nice bonus! Although my mate who is even by his own admission, well a bit rounded managed to trap his nuts trying to get in the car so maybe they are not for everyone! And they fit in a Mini. Just! 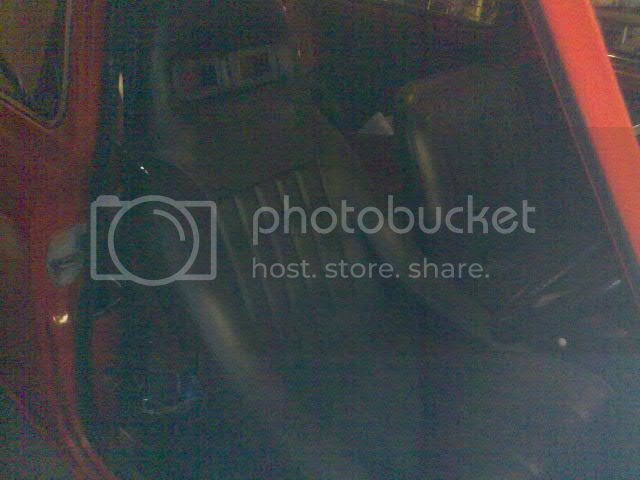 bucket seats as a daily driver = bad idea. 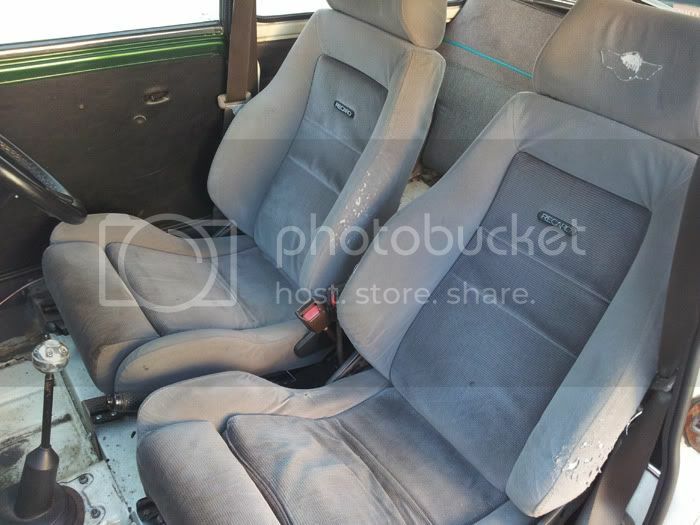 if you want bucket seats for track days, fit them for track days... its only two bolts per seat. 10min job to swap. I have a bucket seat in my daily driver, it was comfortable enough on the round trip to IMM Germany a few years back, but as somebody else said, you need to try a few and find out what fits you best as there seems to be several different shapes out there, I've found Cobra classics are really uncomfortable but a good friend of mine swears by them! Edited by longtimenomini, 23 December 2018 - 01:59 AM. 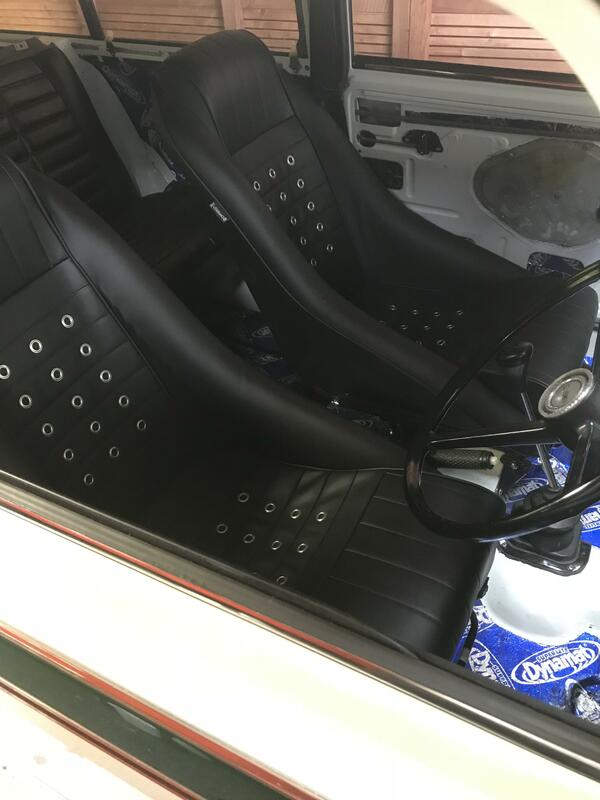 I picked up some SPI seats recently. They're a lot more bolstered than the earlier (or later) seats and really comfy. Haven't tried them on track yet, or fitted them in the car for that matter, but they look like they'll be pretty good. I did my last trackday in standard 80s mini seats and it was equal parts challenging and hilarious trying to stay in the seat haha. Edited by Dannyboolahlah, 23 December 2018 - 06:01 PM.